Wheeling, IL, December, 2015. 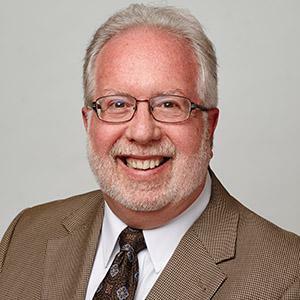 Block and Company, Inc. is pleased to announce that Larry Greenberg has joined the MMF POS business unit as Director of Sales and Marketing. Larry has over 35 years of experience with multi-distribution channel development and management, and now brings his sales and marketing expertise to MMF POS. In this newly created position, he will lead key initiatives in sales and marketing with distributors and OEM customers. Larry joins us from FETCO where he was Senior Director of National Accounts. He has also held a number of senior sales and marketing leadership roles with companies such as Solo Cup Company, Packaging Corporation of America, and Fort Howard/Sweetheart Cup Corporation. MMF POS (www.mmfpos.com) is a leading manufacturer and supplier of cash drawers, payment terminal stands, tablet enclosures and stands, mounting solutions and other accessories for POS markets. MMF POS brands include Advantage®, Heritage®, MediaPLUS®, VAL-u Line, and PayVue™. The company provides a complete line of product solutions to enhance the retail checkout experience for both retailers and their customers. MMF POS products are ideal for retail, restaurant, night club, bar, specialty, grocery, hospitality, convenience stores, gaming, healthcare, and banking applications. Happy Labor Day! Let’s talk about the minimum wage. Looking for a career in Point of Sale? Check out the jobs listings – use the menu link on the LEFT side of the page. There are hundreds of POS careers waiting for you!